Well Arsène has done it again. And I don’t mean pulling off a stunning success by signing Welbeck on deadline day while not even in the country, I mean by doing just enough with new players to keep the Arsenal fan base firmly divided down the middle. I’m stuck in limbo again now, probably for the whole season: I don’t want Arsène sacked, but I’m not totally happy with what he’s done either – or rather what he hasn’t done. I’m quite happy with all the players he’s brought in as individuals. The only thing I have against Welbeck is his diving – well, that and his haircut – but I think he can score goals for Arsenal. Debuchy and Sanchez have already shown what they can do and Ospina’s World Cup performances demonstrate enough talent, so I don’t see a problem with any of them so far. But we have the rest of a long and challenging season with just six senior defenders to cover four positions. Two of them are currently injured and Mertesacker looks like a liability with anyone but Kos next to him. He can’t always anticipate and be in the right place at the right time without having to run fast, it’s not possible. He’s going to get caught out. And it’s naive to think we won’t get more injuries – look at our overall injury record. So defence is a problem. In front of the defence we still have Arteta as first choice. Arteta is slow and getting slower. He’s not nearly incisive enough to be the fulcrum of play in a Premier League winning team. The current alternative is Flamini, who can’t be relied on to maintain the necessary discipline for eight months. He’s always a tackle or two away from a red mist, a red card or both. So Arsenal now have potentially a very good team but still a thin squad in some areas. If you want small attacking midfielders the Arsenal squad is like a showroom. Everywhere else it looks great if everyone is fit and available, otherwise it’s immediately turning into square pegs and round holes. Or at least pegs that are rough around the edges and need sanding for the perfect fit. To sum up the transfer activity my mate Gary Prince tweeted “We needed a new roof but we built an extension”. He’s right. It looks nice. All the parts are great quality. But what happens when it starts raining? So what did I want Arsène to do? Simple: I wanted him to maximise the chance of success by maximising the spending. There’s no point in a football club having a spare £50m in the bank. It doesn’t improve your chances of winning to hoard money. And it’s an incontrovertible fact that spending more increases the chance of success. Of course spending doesn’t guarantee success. We all know that. Only one team at a time can win the Premier League anyway, no matter how much any of them spend. But spending definite does increase the chances. You only need to look at Chelsea and Man City to see that. You only need to look at the correlation between spending and league position. And in the case of Spurs, look at it this way: did they have more chance of success without the spending? No, of course not. To be honest, there wasn’t much left on deadline day . . .
Clearly you have to spend on the right people and then you have to manage them the right way. I don’t presume to tell Arsène Wenger who to buy. He gets paid £8m a year and has a huge scouting network to help, he doesn’t need me interfering. But he should spend more because spending more increases the chances of success. Fact. Debatable, but you can certainly get something. So get it. At what stage do you accept that it’s pointless to always leave money for the next transfer window, and then the next one, and then the next one? What, every transfer window the players he wants aren’t available? Every single time? I know Arsène likes to be as sure as he can that a player will fit the system and be suitably talented, but let’s face it we’ve had a few duds in recent years. You’d have thought he could identify plenty that are worth a shot. I despair at the attitude of fans who are happy with this lack of ambition. The idea of football clubs is not to make profit and hoard it, it’s to win. So spend what’s available – not more, not less – and maximise the chances. Spend it as sensibly as you can, but spend it. Not every player will be a success and you still won’t win something every season, but why not use everything available to try? The fact you can even think about putting on a feckin’ Spurs kit shows you to be a total cnut! I hope you don’t think that numpty is me. I assume when you say ‘you’ you’re addressing it in a more general way. I bloody hope so anyway. Otherwise I’ll have to take it down and put a picture of Arry Redknapp there instead. Totally agree, and I don’t understand the point of sitting on piles of cash when the squad is already depleted. withdrawal and the gunners would not have much time to seek a replacement. like RVP. It would be retribution. Keeping my finger crossed. Generally, it’s a failure! and for the 1st time! I honestly fear for our chances getting into the top 4.Everything you’ve mention is correct to point though. Wenger never intended to buy! at all! and even after the team been thoroughly exposed in the last 3 games played, he still refused to buy the necessary purchases, that you’ve stated. My opinion, Arsenal can’t be lucky all the time and even if his decisions don’t cost him his job coz the board have granted him absolute authority, yet they definitely see/know he’s walked us into a great task/ask for the team these season! everybody supporting Arsenal sees it. tactically, Everton clearly showed AW is inept and despite replicating their exact performance last season, he had no answer! and that clearly sets the trend of what Arsenal should expect playing top 6 these season, losses! We’ve trusted the same horse that hasn’t gained pace/strategy and is willing to run the exact same way that it lost! hoping to win! yet the competitors have organised themselves and even come back much stronger than before,ready to have a resounding victory over the losing horse again! that sums it all for the club and the manager who toils with it! as he wishes! For the life of all the saints, last season we got tanked by top 5 sides 4 times in a humiliating fashion, yet we end up this transfer window with less senior defenders than when started & with 2 defensive midfielders one year older. Anyway, we need Jack to step up this season as our defensive midfielder if we’re going to get anything of note…. How dare you criticise Mertesacker, he is a world cup winner (even though he was dropped from the quarters onwards for being too SLOW ) .Arteta has the best passing ( back to the keeper) stats in the league,and anyway we don’t play like that Wenger having a superior vision of how the game is played that is above the understanding of mere supporters like you. Ha ha:-) Seriously though the Cl is worth at least 50 mill next season ,double what it is now,and if we miss out there will be little chance of getting back in.No chance of us spending like United, the mantra will be we are skint,and it would not surprise me to see Ramsey sold to balance the books ( in Arsenal language that means making a big fat profit ). What’s this obsession with money? I don’t know if Arsenal’s new stadium era, or the media driven craziness, is to be blamed for this spending money mania that seems to affect so many.. If you said we are a backup defender light in the squad, I would agree. If you say we should probably upgrade at ‘DM’, I would agree too, although I don’t think it’s an emergency situation yet. In all likelihood, both those positions can take the form of one player. So, yes, we are definitely one player short of having a great squad. Our transfer window has been a definite success. Not an unqualified success, but success all the same. But the argument that our transfer window hasn’t been a success because we haven’t spent all the money we could have is just such a silly argument to make, with such a convoluted logic that I wouldn’t even know where to begin to counter it. It exists in a logic vacuum of it’s own. How much was Ces asking.??? I am disappointed and a little let down to be honest. Two managers have bought well for Chavski this summer – Jose & Arsene. Letting Cesc go to the Chavs and not bringing the players we need is negligence. I am one of Arsenes biggest supporters, I rate him as the single biggest influence on modern Arsenal, the stadium, international appeal, great players past and present. However, he must see we are short, he definitely knows we have the money to address the issues – why are we doing it again? Bloody Liverpool have gone for it this summer after one season in the top 4. Yet we are going to happily settle for 4th maybe 3rd and not even compete for the title. Phil – is it possible that Kronke is building up the clubs bank balance to take it in dividends? I simply don’t understand our clear lack of ambition. Even in our dealings, we bulk when UTD or an oil club wants the same player as us and take players from them they don’t want. I will be just as proud and loud etc, however, I growing increasingly frustrated at our perceived inferiority complex in this league. We stand up better to genuine European super houses like Bayern than we do micky mouse oil clubs like Man City. I don’t know if Stan is planning to take dividends. What might put him off is that he’d be giving Usmanov 30% of it. But he refused to rule it out when questioned at the AGM in 2011 and 2012. An alternative theory is that he wants a large cash balance to use as collateral in deals involving other businesses, on the basis that he can tell creditors that if a deal goes wrong he’s got assets he can use. Whether that would mean taking money out of Arsenal or trying to sell his stake, I don’t know. The theory may be nonsense anyway. Actually, I think dividends are likely to come in all over the league at some point. You have owners coming in almost everywhere and I doubt all of them are in it for the love of the sport. The domestic FFP restrictions mean that a club’s wage bill cannot grow at more than 4m a year (apart from through commercial growth – which most clubs will not have too much of) With the TV money much larger than that, it will in all likelihood, leave excess cash with the clubs. It might impact on transfer fees by making them higher within England, but it might also make them lower because clubs will want rid of ‘deadwood’ so that they can add new players. For once you may be right. Something is not right. My thoughts on Arsene are, if he is the ne holding back signings and the board and club are genuinely ambitious for the title – why did he get a new contract? I think the club is equally to blame or, if my fears are correct, the club just looking to build up a bank balance – but for what? If you post something that leans towards supporting Phil’s prejudices then you’ll be right. Of course Kroenke will draw dividends at some point. You can be confident of that. ManU’s shareholders regularly did so long before the PL and Glazers came along. It doesn’t do any harm to any business if they’re successful in adding to the revenues as a consequence of their expertise in managing it and dividends are proportionate to that contribution. Angry of Islington blog – Success or Failure? 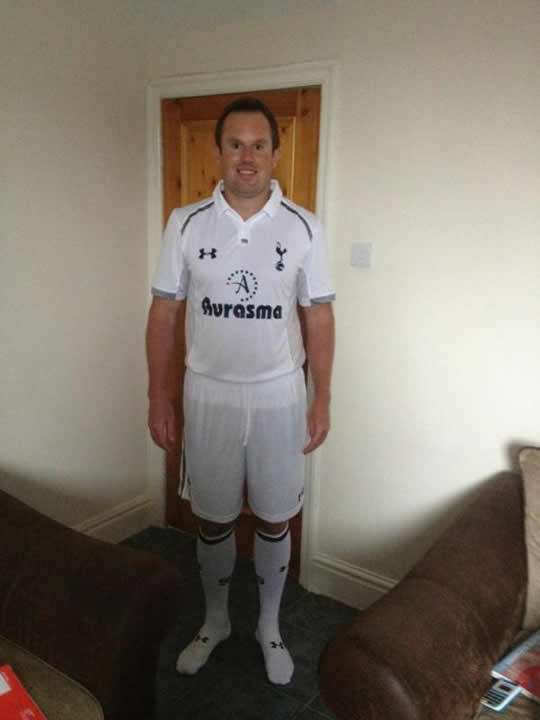 Haha, loving the photo of you in your spud kit, Phil. Personally, I think Arsenal need to sign a top striker, not because its a direct need with the addition of Danny. But because it will show the likes of Sanchez, Ozil and any other World Class signings that join, that Arsenal are ambitious and are a World Class team. When Sanchez and Ozil are playing with Sanogo up front you can only imagine what they must be thinking after coming from teams that had Messi, Neymar and Ronaldo as their front men. Im intrigued to Wenger pitched to them before they signed, and whether or not that ‘project’ is bring met? Anyway’s regarding the blog, the main thing that should of been addressed is not neccesarilly how much was spent, but bringing in the players that are needed. The 2 positions that still need addressing is CB and CDM. With £50-£60m and knowing this need before the window opened Wenger should of addressed this ages ago. It would have been an acceptable window if we didn’t continue getting it wrong. This isn’t the first time we’ve made purchases that taken in isolation have been ok, but in the wider scheme of things haven’t addressed the issues that need addressing. It’s becoming a bit of a joke now and isn’t the behaviour of a club that purports to be challenging for the big prizes, namely the Premier and Champions League. Having all this attacking talent is nice, but won’t do us much good if, because of injury or suspension (both likely scenarios knowing our luck) our centre back pairing against a strong opponent is Chambers and – God forbid – Monreal. Knowing we could have probably gotten Carvalho – who can play both positions – if we pushed the boat out just adds to my bafflement at our transfer policy. And there’s also a school of thought which says even if we had covered all the positions we need to, the way Wenger has us lining up and playing would still make us vulnerable against the ‘big’ teams’ but that’s another debate for another day.